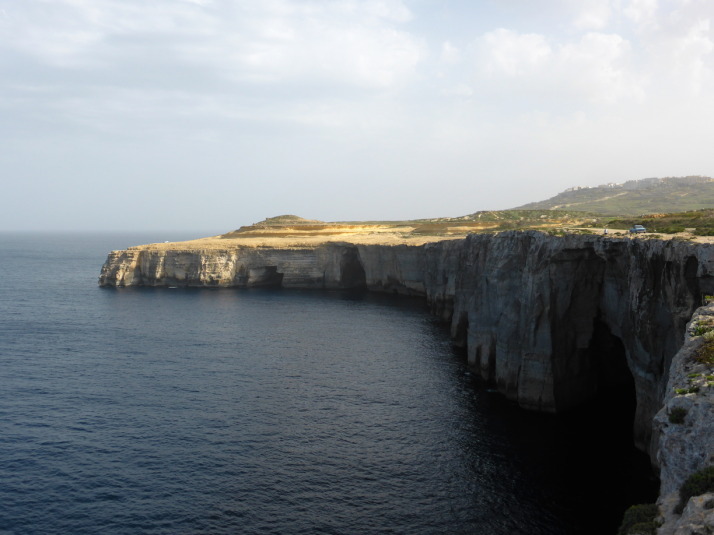 The country of Malta is a Mediterranean archipelago, and only the 3 largest islands are inhabited. The main one is Malta, then Gozo to the north, and between them is a small island called Comino which only has 4 permanent residents. 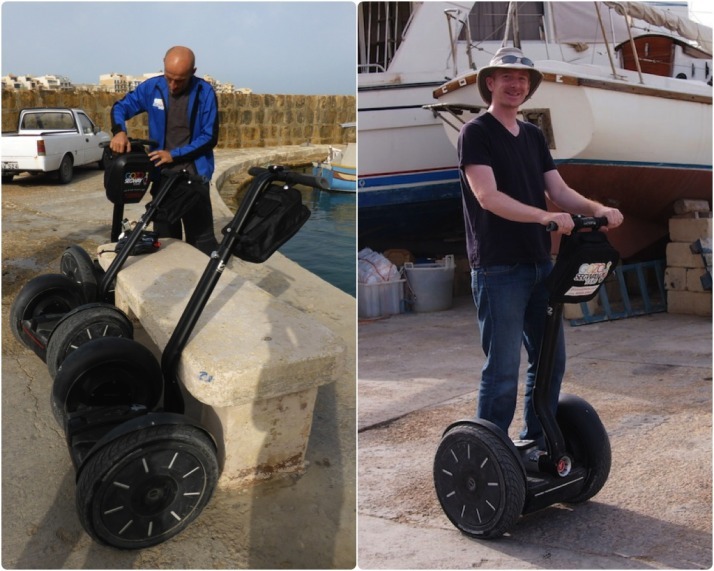 Given their proximity, Gozo shares a lot of the same history as Malta, and in looking for places to visit and things to do for a couple of days there we found GozoSegway – a small company that operates guided tours of Gozo while you operate a Segway! A Segway is a two-wheeled form of personal transportation, similar to a motorised skateboard, but way smarter – using gyroscopes developed by BAE Systems and a lot of very clever electronics it uses your centre of gravity to control motion and direction. Like us, you may have seen them in movies or in the odd city centre, and riding on one is something I’ve wanted to try since they came out in 2001. 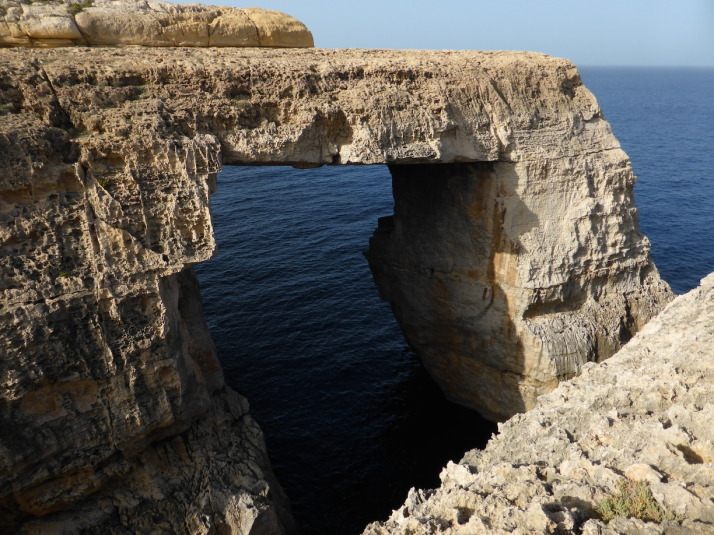 We weren’t sure how easy it was going to be to learn how to ride, and as we wanted to see quite a bit of Gozo we booked their longest 2½ hour tour of north-western coastline. Kevin (the Boss) and Peter (our Guide) met us in Marsalforn with their truck-full of Segways and after a short explanation we were up and whizzing around the car park like a pair of two-wheeled tearaways, grinning from ear to ear! Our initial concerns about how difficult we’d find them to ride were completely unfounded – basically, if you can stand upright then you’ll have no problems whatsoever controlling a Segway! We could call it an amazing technical achievement, or we could just simply say its magic how they actively maintain balance, and with the slightest shift in weight forward or backward it starts moving exactly how you would expect it to. Very quickly we understood why Peter said that the Segway becomes an extension of the body. 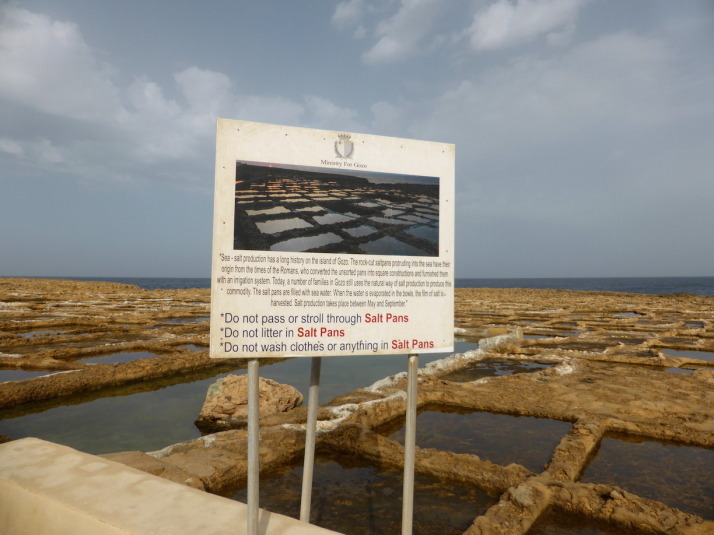 After the Segway driving test equivalent of emergency stops and hill starts, Peter led the way along the coastline towards our first stop – the salt pans of Gozo. 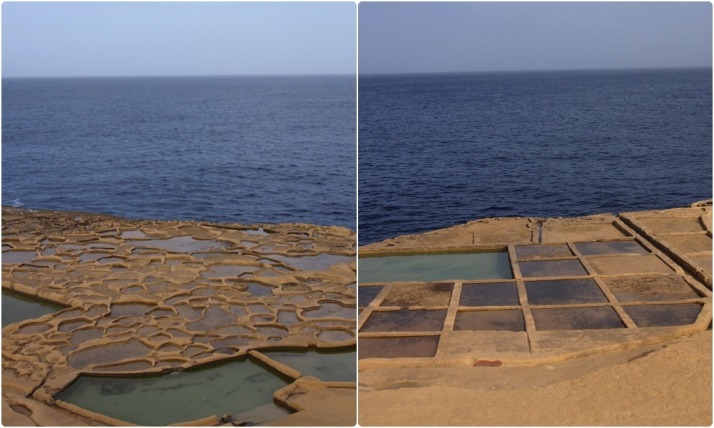 Dating to the time of the Romans (264BC to 395AD), the salt pans have been in use for thousands of years. 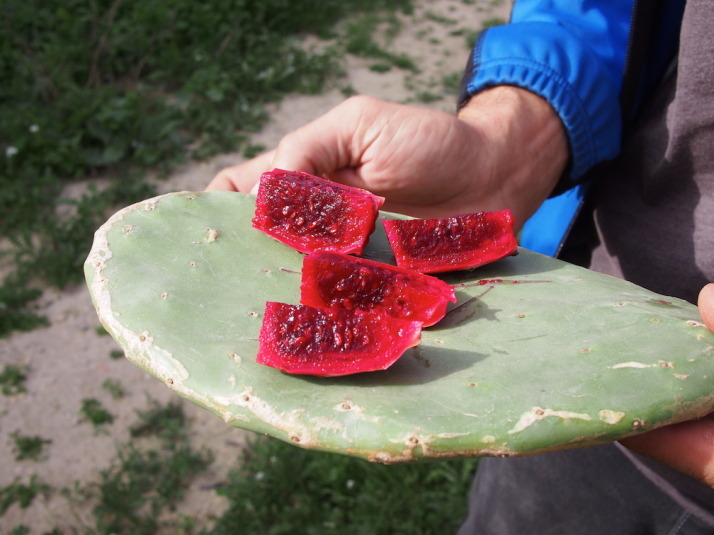 The closest ones to Marsalforn are irregular and organic in shape as they’re the oldest and were carved out with simple hand tools; further along the pattern of salt pans becomes regular, ordered and each pan is bigger as better tooling and machinery improved not only their creation but the harvesting of the salt. 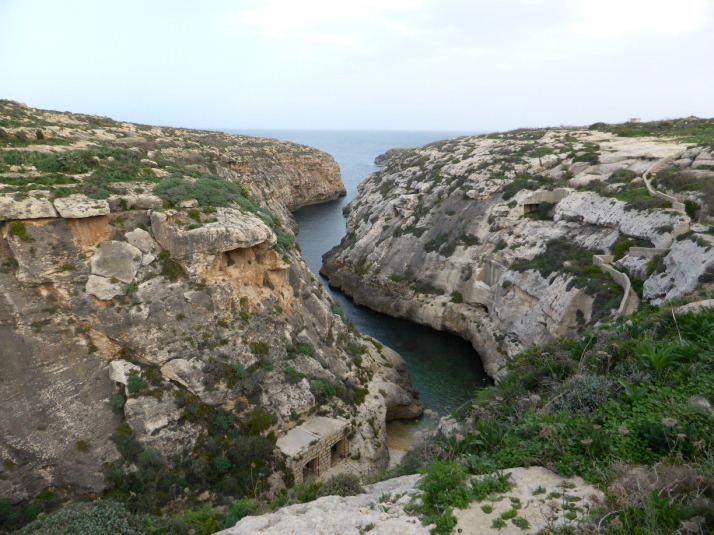 Wied il-Għasri, a deep valley used by pirates and smugglers of the Mediterranean, so much so that they built a shaft into the side of the cliff to lower supplies and raise booty! 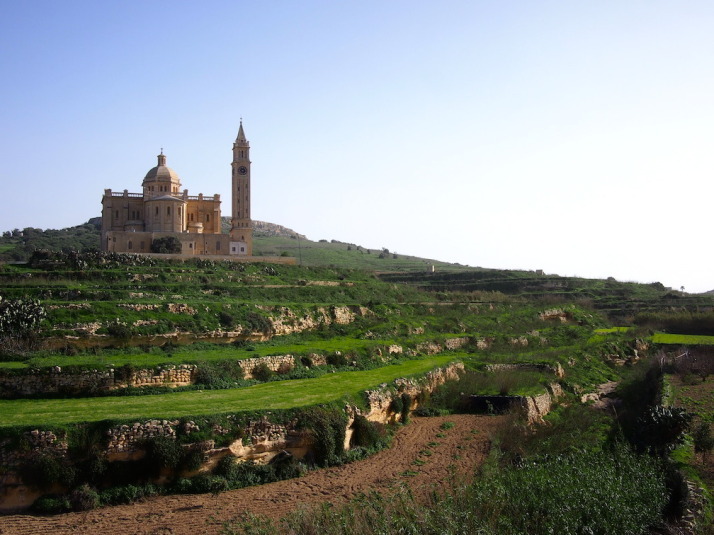 Next we headed inland and after a quick glide through the small town of Gharb (in Maltese, ‘gh’ is silent, as you might remember we learned in Mdina & Rabat), and we were back out on the open road towards the dominating Basilica of the Blessed Virgin of Ta’ Pinu. The Basilica of the Blessed Virgin of Ta’ Pinu. The story goes that in 1833 a spinster by the name of Karmina Grima was walking past the then dilapidated chapel on the site and heard a voice asking her to recite 3 Hail Marys’, she did and shortly afterwards her neighbour’s mother was miraculously healed. As word spread many started pilgrimages to ask for temporal and spiritual favours and the church was rebuilt in 1932 to accommodate both the visitors and their ex-voto. The basilica is also known for a painting of the Virgin Mary which depicts her hands in prayer though one hand is white and the other is black. It’s not clear if it was the artist’s intent to show her black hand in shadow, or, as some have suggested, a sign of the multi-ethnicity of Christianity. From here we took a long and winding road back down to Marsalforn and while we waited for Kevin to return with the truck, we chatted with Peter over a coffee about travelling – he’s from Prague in the Czech Republic – how he ended up living on Gozo and, of course, Segways! 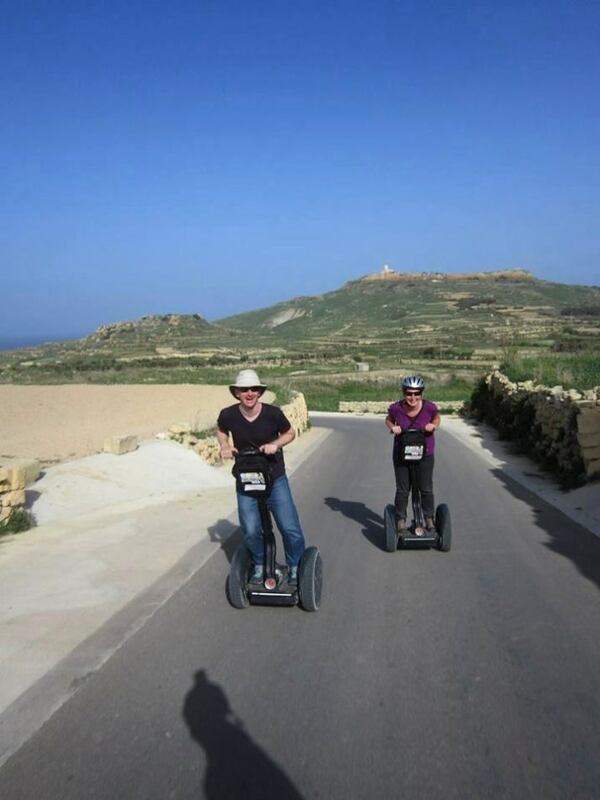 Segways – easily the most enjoyable way to climb the hills of Gozo! 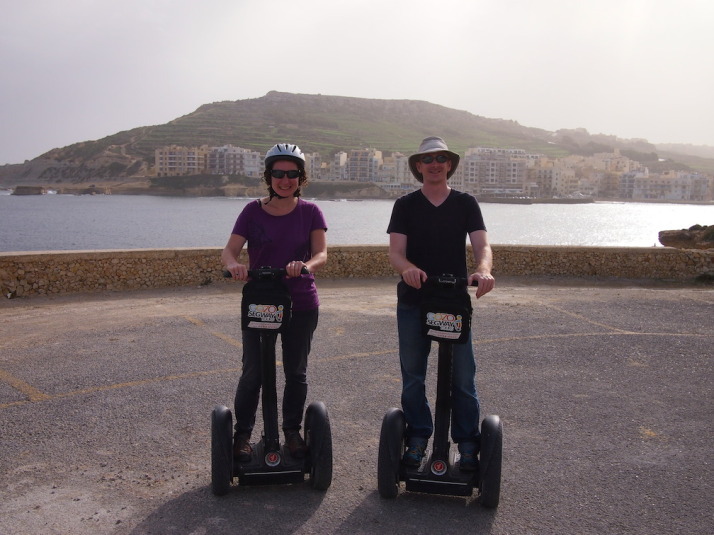 We really enjoyed the experience, the Segways are great fun and a fantastic way to see this hilly little island. This entry was posted in Experiences, Places and tagged Church, Gozo, Malta, Segway on December 11, 2014 by Andrew. They look awesome. Question: why is Andrew in his Tilley hat and Julie in a helmet? Were helmets optional? Thanks Jo, yeah, they’re amazing and so much fun! And yes, well spotted – they offered helmets but when I asked if I could wear my Tilley instead they were fine with it. In researching this post I found the law is wildly different for them around the world – they’re essentially illegal in the UK as you can only use them on private land, but in India you can take one on the public roads, though having been to India, that’s not something I’d recommend! What is 32 + 6 ?